Inselmini Construction Company stands on a solid reputation for quality construction. We know how important it is to create a home that is modern, comfortable, and uniquely designed to reflect your personal tastes. After all, homeownership is one of the largest purchase decisions you will make in your lifetime. So whether you are scaling down and have efficiency as your top priority, or you are creating the luxury showcase of your dreams, Inselmini Construction Company works with you to bring your unique vision to life. We know building a new home can be exciting, but equally overwhelming. Let Inselmini Construction take the stress out of the custom home building process. Contact us today to learn how. 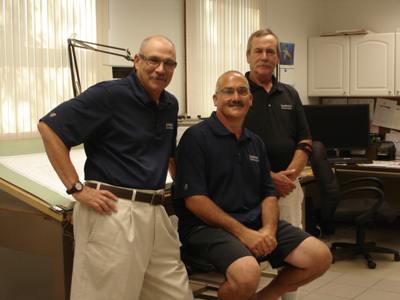 Brothers John and Tom Inselmini, and their partner Pat Dicesere, grew up in Latrobe. They understand living in the Laurel Highlands provides a quality of life unlike anywhere else with top rated educational facilities, abundant recreation, and economical cost of living. The craftsmanship at Inselmini Construction Company is merely a testament to the quality of the men in charge. If you are ready to invest in a custom home in Westmoreland County, your one and only call should be Inselmini Construction Company. Why choose Inselmini Construction? Find out on our Why Choose Us? page. Inselmini Construction Company offers exceptional quality in new homes throughout central Westmoreland County, including the communities of Greensburg, Latrobe, Ligonier, Delmont, Derry, Hempfield Township, and Mt. Pleasant.